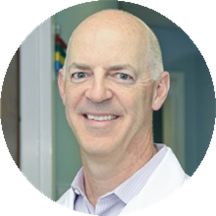 Named a 2010 Atlanta Magazine Top Doctor, Dr. Robert Karsch is a joint specialist in Atlanta with nearly 20 years of orthopedic surgery experience. Dr. Karsch received his medical degree from the University of Pennsylvania and completed a fellowship in sports medicine at Emory University. He is a recipient of the Richard Selznick Award for Outstanding Research in Orthopaedics. Dr. Karsch has served as an instructor to the Department of Family Medicine and the Department of Orthopaedic Surgery at Emory University. In addition, he has provided orthopedic consultation services to MARTA, Keebler, Waffle House, Marshall, Winn-Dixie, Spellman College and many other academic and corporate institutions. Just okay, really. He had two students in the room and never asked me about it. That’s not okay in my book - especially being someone with severe anxiety. I never got an official diagnosis, more like “let’s try this andhope it works” it left me wondering if I’ll have to go back for a third time to just try something else. Amazing Dr. The world's greatest bedside manner. Very thorough about my upcoming surgery. The best Orthopedic surgeon I've ever been to. Fast wait time and professional service while also teaching students. I felt great with my decision to see Dr. Karsch. My wait time was fairly short. Their staff was extremely friendly, helpful, and they explained my problems and the path to correct the issue. I highly recommend this office. I would highly recommend Dr. Karsch. He had an amazing bedside manner. Everyone in that office especially his Nurse made me feel so comfortable, they were so thorough. I felt like I was part of their family. I was initially seen by a physician's assisatnt student. She then stood in the hallway talking with the doctor and repeating what I had told her. I prefer to talk to my doctor personally rather than having my symptoms relayed bya student. Even though the doctor had already diagnosed my pain, he then said "let's do an x-ray too." I am not a fan of unnecessary diagnostics or expenses. The office seemed like a factory where they were just churning through patients. He was very professional and made me feel very comfortable. I was very pleased with him and his staff. They were awesome. Took his time with me and was very thorough, loved the staff. Me encanto verlo escogido como ortopedico.Su profecionalimo y dedicacion hacen de el un exelente profecional. Dr. Karsch was very professional, and he was very nice!! He is an excellent physician. I would definitely recommend him to my family and friends. Was pleased, by the short wait time. Dr was attentive and, was able to resolve my problem without surgery. Dr. Karsch and his staff are the epitome of professionalism, care and concern -- the ultimate experience in healthcare! I highly recommend Dr. Karsch. I have never had a more positive experience with any doctor's office. From our warm welcome with Mr. Music to the support staff and Dr. Karsch, it was a seamless and enjoyable process from beginning to end. Dr.Karsch was super friendly and funny as well. Addressed all my needs and conerns and answered all my questions. He didn't seem pushy at all like some doctors do.. He is amazing and i would def go back to him. Alsofront staff is super nice and his assistant too. Loved it here! Very nice. Everyone there was friendly, and Dr Karsch was very nice. Nice office, great staff and Dr. Karsch was pleasant and happy to spend the time answering my questions. I plan to return if the need arises. This office is like the opposite of every office I have ever been to. It was fast (they were running early), communicated openly the whole time as to options and what was wrong, and were just plain nice. I would gladly recommend this office to anyone. Dr. Robert Karsch, MD has no appointments on Zocdoc right now.